Home How to Enable Salesforce CRM Configuration? How to Enable Salesforce CRM Configuration? Challenging business solutions are definitely attained nowadays with the ultimate use of Salesforce. It is the world’s #1 cloud CRM platform that enables any user (whether technical or non-technical) to derive better insights. With its simplest architecture, one can log-in and use suitable applications and features as required by the company’s needs. Salesforce CRM training avails you the greatest knowledge on the different cloud services, features and apps. However, setting up the Salesforce CRM platform and the perfect implementation of the services is a must. Here is a brief explanation to make you aware of the Salesforce CRM configuration. The Salesforce CRM configuration is nothing but organizing the distinctive Salesforce features in a specified way in the user interface. This is essential to develop Salesforce applications and use the relative services effectively for business benefits. One should be well aware of the different attributes of the Salesforce CRM platform and set their definite style to use, navigate and enable Salesforce applications. Primarily, one should set up their profile in the force.com to log-in and work with the platform. Different Salesforce editions are available like Contact Manager, Group, Professional, Enterprise and Unlimited. Various Salesforce licenses provide access to these editions, it is better to contact your Salesforce Administrator to help you know the edition you are going to use. For instance, if you prefer the Salesforce developer edition, then go to the https://developer.salesforce.com/ and click on the “Sign up” button. It enables a registration page with username, email ID, and other details. Upon doing this, you will get an email with a notification from the Salesforce with a link. From this, you can simply set up a password and now you can navigate through the Salesforce developer edition. Standard objects – Salesforce.com provides certain basic objects on its own and these are termed as standard objects. These can be used by any organization. Some of them are accounts, leads, opportunities, products, campaigns, cases, users, reports and dashboards, contracts, etc. Custom objects – The objects which we create on our own for unique information of our organization are called as custom objects – they help to share the data. Based on these, various Salesforce applications work. Once you do this, you find a sequence of options to configure. Label - Label is the visible name which is seen for the object within the Salesforce CRM UI – you will provide this name upon creating the objects. All the views, reports, and pages will show this same name. Plural label - Then you will find a plural label which is to be given to the object and it is to be used in reports and tabs. Gender – This is language dependent and is popular used in organizations having the default language settings in French, Italian, Spanish and German. Starts with a vowel sound – It is a simple language consideration which allows to keep ‘a’ or ‘an’ before an object name. Object name – It is the unique name given to the object – the field can include underscores and alphanumeric characters, beginning with a letter and no spaces included. However, it should not have two consecutive underscores and not end with an underscore. Description – This description part can include any explanation of the custom objects that are created. Context-Sensitive Help Setting – This enables you to include information of what is to be displayed when any users click the Help for this Page. Record name – This name you enter will be used in page layouts, key lists, search results and related lists. Data Type – This is the field type for the record name, this can be text or auto-number. Display Format – This enables the format to be given for the auto-number data-type. For instance, data formats for year, month and date can be given as you require through this display format. Starting Number – As the Auto Number fields of the Salesforce CRM increment automatically for each new record, through this, you can give the starting number for the count. Allow Reports – If you want to use this custom object to be used in reports and dashboards, then you can use this setting option. Allow Activities – Any activities that are related to the custom object records can be allowed through this option. Track Field History – It helps you to track the history of the data field which changes on the custom object records. Deployment Status – This status shows if the users can view and access the available custom objects. If the custom object is ready, it can be mentioned with “Deployed” status. If the custom object is still under working and not yet ready for production, then enable within “In development status”. Add Notes & Attachments – With this specification, you can attach files and add notes to any of these custom object records. Launch the New Custom Tab – It enables you to start the custom tab once you save the custom object. Salesforce apps are the main elements of this cloud CRM platform – many business functionalities are accessed and operated through them. They help in enabling accurate and efficient results providing perfect and insightful business solutions. Salesforce apps are nothing but the containers for all the objects, process, tabs, and services accounted with any specific business function. Certain customized apps can be created and used based on the use. Force.com custom apps contain name, description, an ordered list, a custom logo, and a landing page. There are certain Salesforce in-built standard apps like Sales, Marketing, Call center, Community, etc. At the top right corner of every page, you find a force.com app drop-down menu through which you can switch between different apps. Generally, Service Cloud Console and Custom App are the two different types of Salesforce applications. 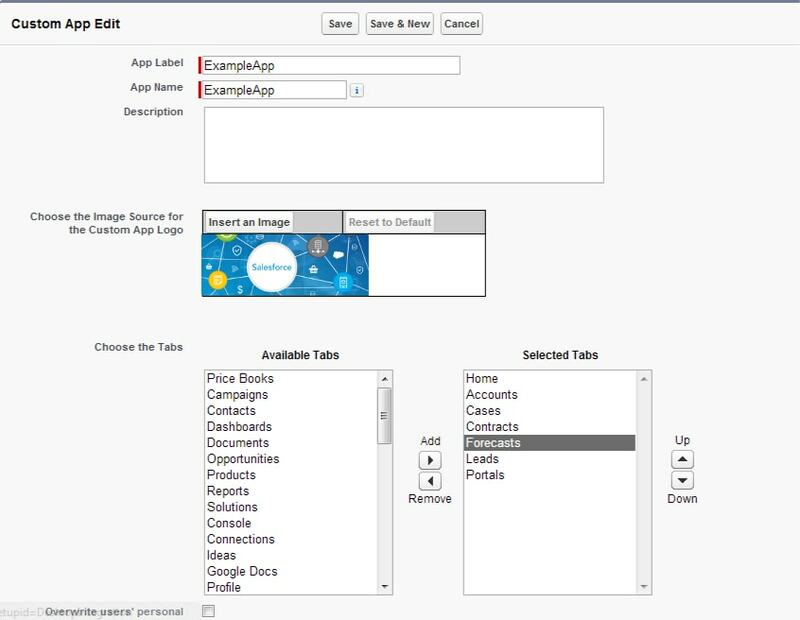 Follow these steps to create an application in the Salesforce. Now, you should click a button - custom application radio. Then, give the name of the app, and then click ‘Next’. Now, select the image from the document object from which you can select the objects. Then, click on the visible check box and then save it. In case any other profiles are to be added with this Salesforce app, or if other tabs have to be added, then you should move this way. Now, select the required apps from the list and then click Edit. Now, any image can be taken from the documents through ‘Insert and image’. Also, to add more tabs, go to the Tabs and select Available Tabs and then click on the ‘Add’ button. Furthermore, another significant Salesforce feature is that of fields and custom fields. Let’s know what they are. Like you have columns in a database, you have fields in the Salesforce object records. There are two types of fields – Standard fields and Custom fields. Standard Fields – The built-in fields of the Salesforce are considered as standard fields and you can use them based on your demand. However, you can remove any non-used standard fields from the page layouts. Field labels, picklist values, auto-number fields, field history tracking, and other such instances of the standard fields can be changed as you like. However, you cannot change the field labels of certain standard fields like Opportunity Probability. Custom Fields – These are created by your own – you can add, amend, and delete them whenever you want as required by the organization needs. All the related record data of an object are displayed through the user-interface elements of tabs. Based on your customizations, you can hide and show necessary tabs that are essential for Salesforce functionalities as used by your organization. When choosing the tabs on the apps, this window is seen and you can select your customized apps and select them to show, display, use, or hide as your requirements. 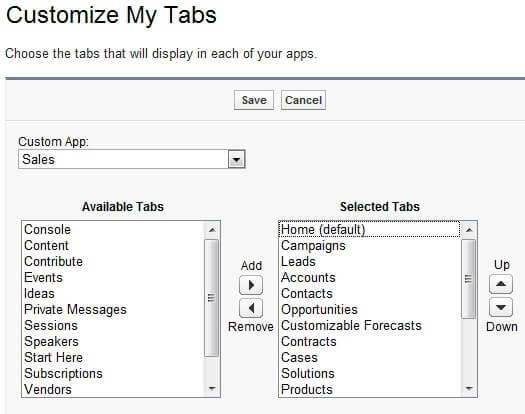 Like any other features, the tabs are also standard and custom tabs. Standard Tabs – As known, these are provided by the Salesforce – examples include Contacts, Opportunities, Accounts, Contracts, Forecasts, etc. Custom Tabs – These are the tabs displayed as customized by the users. 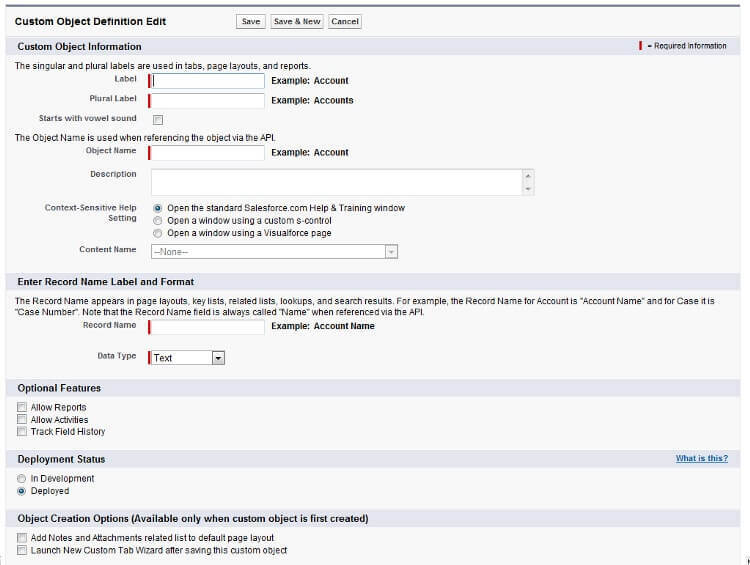 There are custom object tabs, web tabs, and Visualforce tabs which account for their respective functions. 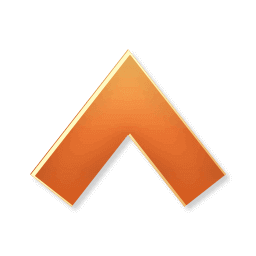 Enable these custom tabs by this path – Your Name Setup  App Setup  Create  Tabs. As needed, you can select the tabs and customize them. 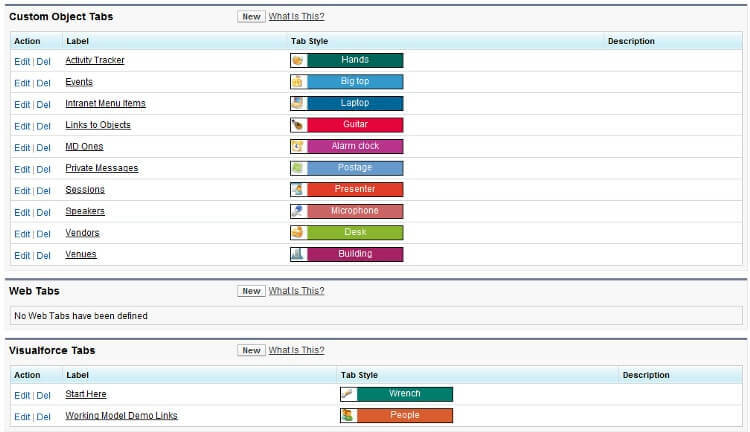 Here is a screenshot showing the customization of tabs. With the business dealings and processes, an interrelation of objects, records, etc. is always evident. This bi-directional association between two different Salesforce objects is termed as Salesforce object relationships. As you go through deeper into the Salesforce topics during Salesforce CRM online training, you will understand the importance of these relationships. Salesforce is accounted with three different kinds of object relationships. They are - master-detail relationship, lookup relationship, and many-to-many relationship. The master-detail relationship includes relation between custom objects or between a standard and a custom object. Here, one is considered to be a master object which controls the behavior of the other detail object. Through the lookup relationship, data of one object appears as list on other object’s page layout. No inherited sharing is associated with this relationship. The characteristic of a many-to-many relationship is that an object’s record can be linked to multiple records of other object. While these are some of the important features of the Salesforce CRM configuration, there are many others which you may come across upon experience. Avail practical exposure to the Salesforce implementation, only then can you understand these configuration means perfectly and enable customization. However, it is recommended to attain Salesforce CRM training to get substantial theoretical as well as practical knowledge of Salesforce.